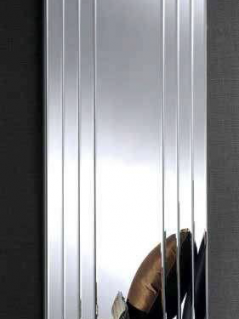 Made in Britain, this gorgeous art deco mirror comes with 6-mm bevelled glass and curved frame for each of the six panels. 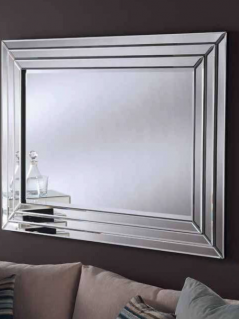 Adding a touch of timeless elegance and sophistication to any wall, it will give an illusion of space and create a stunning view at any room in your home. It can be hung both portrait and landscape. Delivery can be made within 3 weeks. Free click & collect in store in Westbourne, Bournemouth, or local delivery within 40 mile radius is charged at the price of £1 per mile starting from £5; delivery charge to most of the other places in mainland UK is £49. 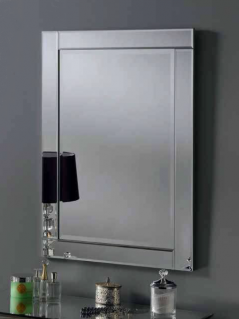 Most of our art deco mirrors can also be custom made into any size. 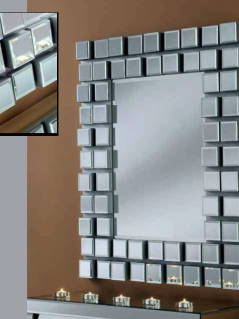 Please contact us for a quote if you need your mirror custom made.